TABASCO® brand Chipotle Pepper Sauce --- 1 oz. Mix TABASCO® Chipotle Sauce and pimento cheese together. Cut brisket slices in half. Slice slider buns and toast cut sides. 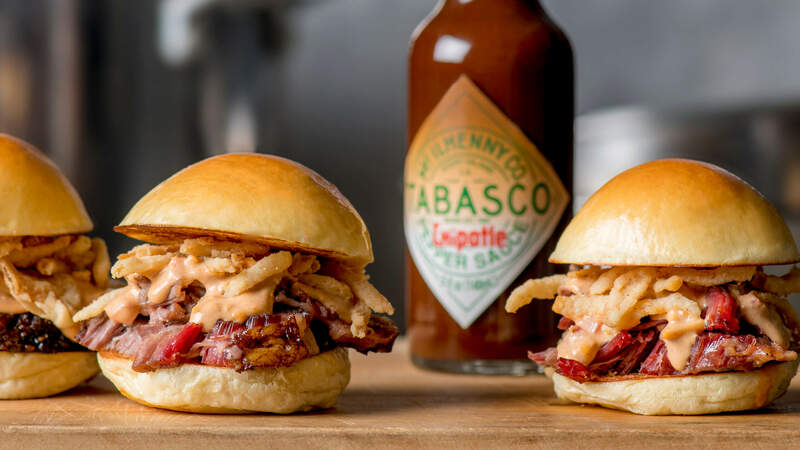 Lay equal portions of sliced brisket onto bottoms of buns, top brisket with pimento cheese and cover with crispy onions. Cover sliders with top halves of buns and serve.